Comply with the EDI requirements of Coles Liquor (Liquor Market, First Choice, Vintage Cellars, Liquorland) through one of our two easy-to-use solutions. 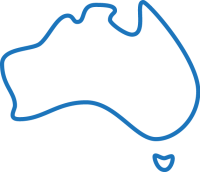 Our Support team are based in our Melbourne office and are available to help with onboarding or troubleshooting. Starting from $79 per month, use our web portal to receive orders from Coles Liquor then send back EDI-compliant POAs, ASNs and invoices. Click the link below to register for EDI webforms with Coles Liquor. Interested in an integrated EDI solution? Have procurement messages between you and Coles Liquor flow directly in and out of your ERP system or accounting package without manual work. Find out more about our EDI Gateways here, or click the link below to request an obligation free quote.